This month marks the start of a very important year for Johnson & Johnson: our 125th birthday year! 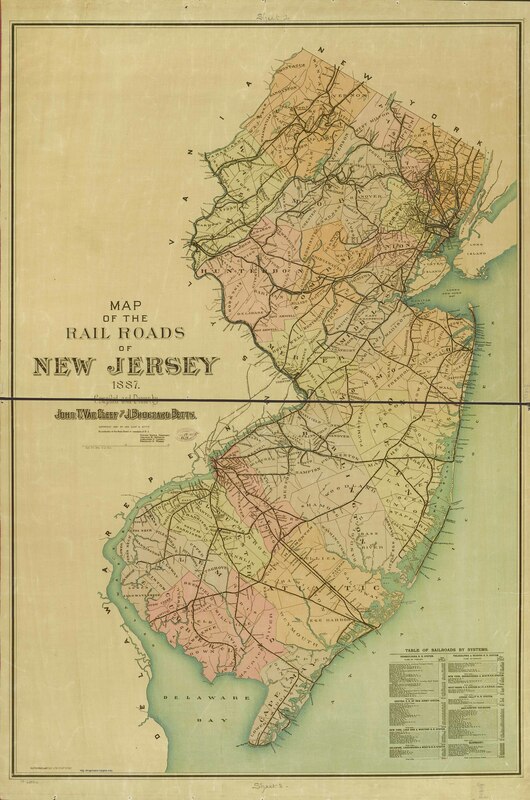 To celebrate the milestone of a century and a quarter, this blog post will join Company founder James Wood Johnson on a January 1886 train journey that brought him – and Johnson & Johnson -- to New Brunswick, New Jersey. As Kilmer House readers will know, we were founded in 1886 (125 years ago!) by three brothers: Robert Wood Johnson, James Wood Johnson and Edward Mead Johnson. Sir Joseph Lister: the inspiration for countless new ideas, new medical techniques, new products and a new business. Robert, the oldest of the three brothers, had been a partner in a well-known medical products firm in the late 1800s called Seabury & Johnson. James and Edward worked there as well. In 1876, Robert attended the Philadelphia Centennial Exposition as an exhibitor on behalf of Seabury & Johnson. While he was there, he went to a lecture given by renowned English surgeon Sir Joseph Lister. Lister had taken Louis Pasteur’s theory that invisible germs cause infection (something we take for granted now, but to many people in the 1800s it seemed like an outlandish idea), and he applied it to surgery for the first time. At a time when surgical survival rates were low, Lister’s surgery patients survived, and people started paying attention – even England’s Queen Victoria. By 1876 Lister was considered an innovator on the front lines of medical progress. Robert Wood Johnson was inspired by Lister’s talk to develop the first mass produced sterile surgical dressings and sterile sutures to save the lives of surgery patients...and with those products, to make it easier for surgeons to do antiseptic surgery. Since from almost the beginning of the Company, Johnson & Johnson has also committed its surgical innovations to help treat wounded soldiers, it’s possible that Robert Wood Johnson may also have heard stories from his two older brothers -- who fought in the Union Army in the Civil War -- about the horrendous conditions of battlefield medicine. But Johnson’s business partner was less interested in this potentially risky innovation and wanted to focus on their company’s successful product line: medicinal plasters. So Robert Wood Johnson and his brothers left Seabury & Johnson in 1885 and struck out on their own. January of 1886 found Company founder James Wood Johnson in a dilemma. He and his brother Edward Mead Johnson (or Mead, as he was known) had tried a variety of other business ideas, but they came back to health care as the field with the most opportunity to make a difference. As part of the agreement with his former business partner, Robert temporarily could not re-enter the health care field, so Johnson & Johnson began as a partnership between James and Edward, the two Johnsons in our company name. On a cold January day in 1886, James Wood Johnson was on a train from New York to Philadelphia, thinking about where he and Mead could locate the new business. Luckily for James, trains had been heated since 1881, when a railroading innovation allowed steam from the locomotive to be used to heat the passenger cars, so his train journey was at least comfortable and he didn’t have to sit in the cold. The route of James Wood Johnson’s 1886 train journey from New York to New Brunswick (marked in red). 19th century Pennsylvania Railroad map courtesy of the Rutgers Maps Railroads of New Jersey site. The train wound its way over the Pennsylvania Railroad’s tracks from New York through the winter landscape of New Jersey. Halfway to Philadelphia, it stopped in New Brunswick, a small city on the banks of the Raritan River. Just like today, New Brunswick in the late 1800s was constantly reinventing itself and, in 1886, it was home to a number of thriving businesses and industries. It also was a transportation hub with the railroad and the Delaware & Raritan Canal. When James Wood Johnson took his historic train trip, the city’s railroad tracks were not yet elevated, so James’ train slowed to a stop at a little depot on a spur of street-level track not far from the Raritan River. Section of 1886 Map of New Brunswick, New Jersey showing location of the first Johnson & Johnson building, marked “To Be Johnson's Porous Plaster Mfy.” The first Johnson & Johnson building is the pink building in the center, next to the number 43 on the map. Map excerpt courtesy of Princeton University online map collection. Looking out the window, Johnson noticed a small, four story building about 150 feet back from the railroad depot. It had once been home to the Janeway and Carpender wallpaper factory but, since they had moved to larger quarters, the building now was decorated with a “To Let” sign. James got off the train to take a closer look -- 125 years ago this month -- and he rented the fourth floor of the building. By the way, for anyone who’s familiar with our hometown of New Brunswick, this video post has something you can still see today that James Wood Johnson saw when he got off the train in 1886: part of the stone wall built by the Pennsylvania Railroad. Next post: As Kilmer House continues its look back at our founding 125 years ago, the Johnson brothers innovative little startup company begins operations with just fourteen employees…and older brother Robert Wood Johnson joins the Company. This tiny new company with the big ideas was about to make a huge impact on health care in the late 1880s. Stay tuned! Congratulations to Johnson & Johnson on the 125th! I was struck that at the heart of J&J's origins is a fateful inspiration at a World Exposition. This apparently happens with some of the great American companies. I remember reading that at the next World Expo hosted by the US -- the Columbian Exposition in Chicago in 1893 -- a gent named Hershey was inspired by a German machine he saw that turned cocoa beans into chocolate bars. Thanks, Christian! That's really interesting about the Columbian Exposition in 1893 and Hershey, and it does parallel the Philadelphia Centennial Exposition and the inspiration behind Johnson & Johnson. It would be interesting to see how many companies got their start due to the inspiration from these world expositions. One of the highlights of these expositions was that the organizers gathered all of the latest technological, scientific and medical innovations together in one place. They must have been fascinating to attend. Actually, Johnson & Johnson was an exhibitor at the famous Columbian Exposition, which will be the subject of a future blog post. Looking forward to your blog post on the 1893 fair and Johnson & Johnson's presence there! Hi, I work for the J&J Ecuador and it's really amazing to know the story of the three founders of Johnson & Johnson, all people recognize,respect and love this brand and I'm feel proud of belong this company. Thanks for sharing this story. Congrats to J&J on the 125th. Congratulations to J & J for 125 years of providing the medical community, patients, employees products we offer efficacy and safety. Working for almost 19 years at Janssen Cilag, in Mexico I had the opportunity to meet and be inspired by Paul Janssen, where we shared his greatest aspiration and concern was to find a cure for cancer. Our greatest pride is the Credo, that all companies is a reality and lifestyle. Thanks for the opportunity to say how proud I am to belong to this family. Hello Margaret, Thank you for all of the great blogs, love reading them and seeing the photos. Prior to Robert Wood Johnson joining his brother's start up Johnson & Johnson company, he was a partner in the Seabury & Johnson company in New York. I recently found a Seabury & Johnson box of Flannel Bandages on EBAY which had a printed logo which included the famous Red Cross symbol later adopted by Johnson & Johnson. I can send you a picture of the logo on e-mail if you are interested. By the way, the old Seabury & Johnson buildings in East Orange, NJ still stand -- today, they're kown as Manufacturer's Village. They have a website on which you can see photos of the buildings.